Roomster says it has hit over 1.3 million users since March 2016. Roomster wants to be the answer to America’s roommate-finding problems, and its 1.3 million users who have downloaded the app since March 2016 might be getting it there. Roomster uses social media to connect people via Facebook, enabling users to see if they can meet each other close to where they are already hanging out. 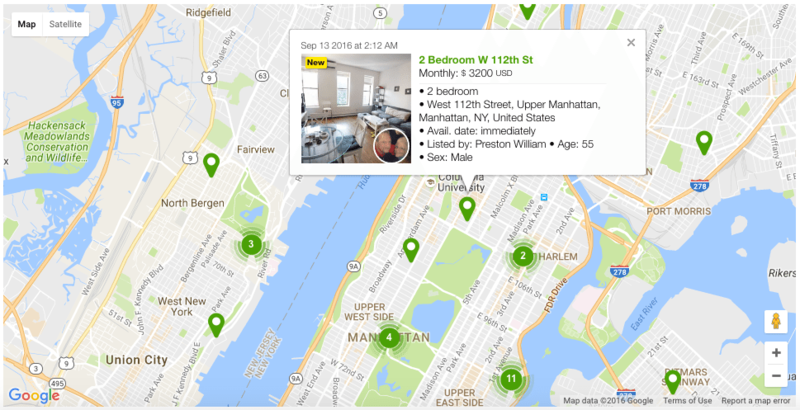 “We are thrilled by the incredible growth of Roomster and proud to be the number one mobile resource for finding a living companion,” Roomster CEO John Shriber said in a press release. To access Roomster, all you need is a Facebook account. After visiting the Roomster site, it asks you to log in to Facebook to create your account. Once the two are linked, your account is created. Are you offering a room? Are you looking for an entire house or apartment? Are you offering an entire house or apartment? After filling out the necessary profile information, you’re entered into the system and given the ability to describe what you are looking for in a home, as well as set the budget. The “Lifestyle” section is where applicants can explain the type of person they are, or the type of roommate to expect. There are also sample questions to ask yourself or a potential roommate in figuring out what type of roommate people are searching for on Roomster. Since home prices and rents have been increasing, in some places at rates far surpassing the national average, more millennials are choosing to live with roommates. Zillow reported earlier this year that only 9 percent of millennials are currently living alone, and 9.7 of millennials in New York City live alone. Richmond, Virginia, has the highest rate of millennials living on their own, at 15 percent. Zillow attributed this to affordable costs of living and a growing job market in the area.